I started taking piano lessons at the age of 7. When I was 11, I started writing songs and learning songs from my favorite artists. Barry Manilow inspired me to become a singer, songwriter, recording artist, performer, and producer. Ever since I started writing songs, I wanted to be just like him. I have always admired Karen Carpenter and worked hard to emulate her vocal style. Since age 14 I have sung for many weddings and funerals. I started professional private vocal training at age 15 and continued with it for 11 years. I majored in music after high school in college at the University of Wisconsin Center Richland, but I didn't want to be a music teacher. I wanted to be a performer. To make ends meet, I became a cosmetologist. I attended college at Southwest Vocational Technical College in Fennimore Wisconsin. I graduated in 1985, got my license, and started practicing cosmetology, working in a few different salons along the way. I was a hair designer during the day and played in a piano bar at night along with playing keyboards in an all girl band. When that band broke up I played in another band for a short while, I started my own karaoke business, and even did vocal/guitar/piano duos with a few different people. In my 20s I was introduced to someone with a recording studio. After my first session, I was addicted. I knew that I wanted to keep writing and recording music. I had found my nitch and I desperately wanted to be in the recording industry. Recording was very natural for me, and I enjoyed working with multiple tracks. The more I recorded, the more inspired I was with new ideas for writing more songs. In 1991, I married my husband Jim. He was intrigued with my music and has supported, promoted, and stood behind me all the way. His expertise in computers is very instrumental in our recording business. In 1996, because of health reasons, my career as a cosmetologist came to an end. I had no idea what I wanted to do next. I answered an ad for a position as an account executive at WKPL Radio in Platteville, and got to know the commercial side of the music business. I worked there just shy of 6 months and I gained the knowledge I needed for writing and selling jingles. The first jingle that I wrote was for a local bank. The minute I was told what the slogan, I immediately had the jingle in my head. After the jingle was recorded and it played on the air, I had many people that had called and asked me to do jingles for their business as well. I even started doing Telephone Music on Hold for businesses and would incorporate their jingle with their on hold message. Everytime we would record in one of these outside studios, Jim watched and learned what he could from the studio engineer. Each job helped me attain what I needed to build my own production studio. In January of 1997, my cousin passed away from cancer. I wrote the title song for my first album I Wont Say Goodbye. My father passed away that same year and I wrote many songs for my second album which I released in August of 2002, entitled Forever Changed. December of 2002, I released an album containing all Christmas songs, My Favorite Christmas Songs Vol 1. December 2003, I released still another Christmas album, My Favorite Christmas Songs vol 2. In December 2005, I released my fifth album, Songs of Comfort and Inspiration. Then on Valentine's Day 2006, I released my sixth album Home to You. 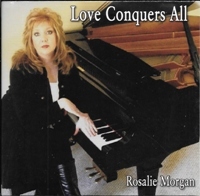 In 2009, my latest CD Love Conquers All was released. I continue to write music and recently just started recording my next album. My goal is to release my 8th CD in the fall of 2018. 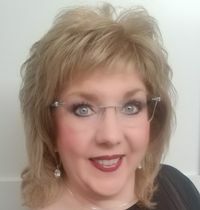 Performing at so many different venues in the tri-states, and now in the Green Bay area, I am enjoying making new friends, and sharing my music.